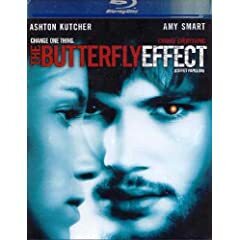 The Butterfly Effect (2004) movie is one that should be on your "must watch" list and on your "Collectible DVD" shelf if you haven’t seen it already or own it. Life is full of a bunch of what ifs and regrets. The truth is, if you went back and changed one small detail, it could dramatically effect the lives of those closest to you. This movie poetically portrays just that as the main character, Evan Treborn , played by actor Ashton Kutcher tries to make things right for everyone close to him. He finds out the hard way, that for every cause, there is an equal or greater effect. Usually in this movie, the effects are extreme.